This is the Image for Magnetopause-to-Auroral Global Exploration (IMAGE) archive of weekly math, science, reading and art problems. 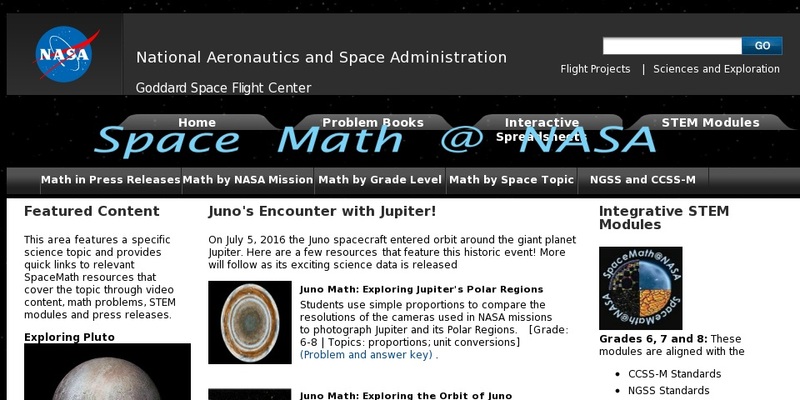 New problems involving near-Earth space technology are emailed to participating teachers each week on Tuesday. The problems can be used in related lessons or as extra credit assignments. This web page is part of the outreach program of the IMAGE Satellite team to give teachers and students the latest information about aurora and the study of Earth's magnetic field, along with many programs that IMAGE has developed or participated in with NASA. A pdf document of extra credit problems is also available at this site.